Sometimes the stresses and strains of ordinary living can take a toll on our mental and physical well being. When this happens, sometimes the best solution is to move to a different environment for a period of time to relax and reconnect with our families. Some families choose to do this by taking yearly trips requiring a stay in a hotel. • Do family members enjoy the water? • Does the location need to be convenient to food and recreational activities? • What style of home suits the family the best? • How long will the family be able to stay at the vacation destination when visiting? • Will the community allow for renting the home out as a way to help with payments if you need this option? 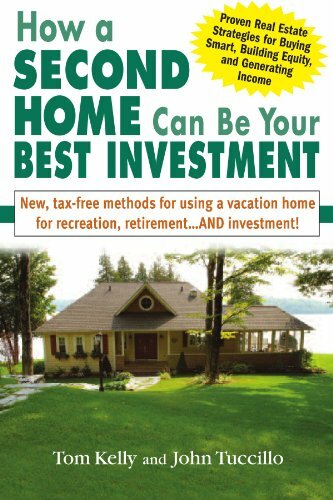 • Getting preapproval for a vacation home mortgage or arranging financing for a timeshare. • Negotiating the right price for the area and size and condition of the property. • Explaining future maintenance costs or timeshare fees. • Detailing any restrictions on the property imposed by a Home Owner’s Association. A good real estate agent will also make sure that potential buyers understand some of the more difficult terminology associated with buying a timeshare. These include deeded and non-deeded properties, fixed and floating weeks, and fractional ownership agreements. In reality, a vacation home will probably work best for families who like to get away on the spur of the moment, while a timeshare will suit those who always plan well in advance. A vacation home may be the better investment because it has the potential to rise in value. No matter which of these purchases is more suitable for your particular family, either will make it more likely that the family will spend quality time together at least once a year. This is a guest article contributed by Maria Robins, who believes it’s important to make time for family vacations and to escape from the daily grind every once in a while. She likes the flexibility that the Destination Club offers and is looking forward to her next getaway. ← Baby Boomers: Are You Prepared to Restructure Your Life?